Fun Activities For Kids: Fishing! What types of fun activities for kids are most common today? Think about it, and be honest with yourself. Let’s face it: Most kids today spend all or most of their leisure time in front of a TV or a computer or a game console. They’re either watching cartoons or MTV, or they’re playing video games. Now I’ll admit that Wii and Xbox are amazing, but there’s so much more to life! When I was a child, we played outdoors all the time. We climbed trees, hiked in the woods, swam in ponds, rode ponies, played outdoor games, chased minnows in creeks, and fished. There’s a great big world out there that so many kids are missing out on these days. Kids, like all humans, thrive on fresh air, sunshine, and exercise. They won’t get that playing inside all day. I blame some of this on the parents. It’s easier to park a kid in front of a screen than it is to actually do something with them. Get out of that rut and step outdoors! 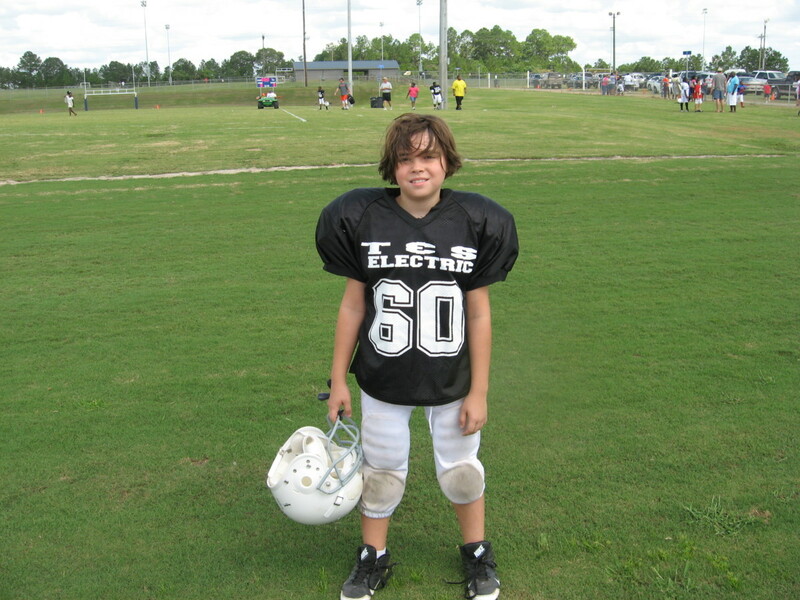 One way to get your kids to enjoy the vital, healthy elements of life is with some great outdoor activities - especially if they're really fun activities for kids. 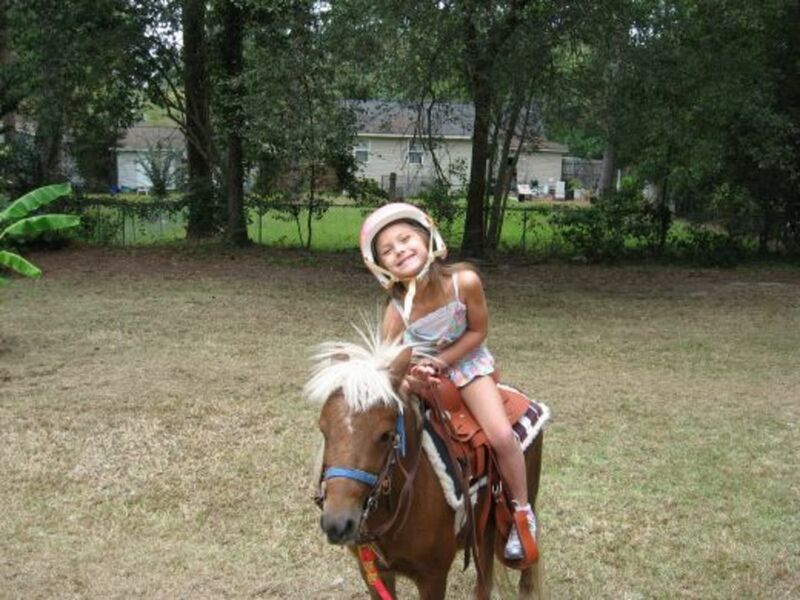 There are all sorts of outdoor activities for kids to take advantage of. Of course, if you live in a rural area or in the suburbs, you’ll have plenty of opportunities. In the suburbs, you’ll at least have a yard, and in a rural area, you might have access to woods and fields. Either way, you’ll have the space necessary for some outdoor games. Outdoor games are always fun. We used to play tag, red light, and red rover. At night, we’d get together and play flashlight tag. We jumped rope and played hopscotch. I wonder – do today’s kids even know how to play these simple games? Even if you live in an urban area, there are most likely some city parks nearby. If not, every state has some state parks, so you’re probably not too far away from one or two of those. Even if you can’t provide outdoor activities for kids on a daily basis, you could do so a few times a month. Entrance fees to state parks are usually very inexpensive, and most offer numerous activities. The family might have a chance to hike, walk nature trails, fish, or view wildlife. In the warmer months, swimming, boating, water skiing, and other water sports might be provided. 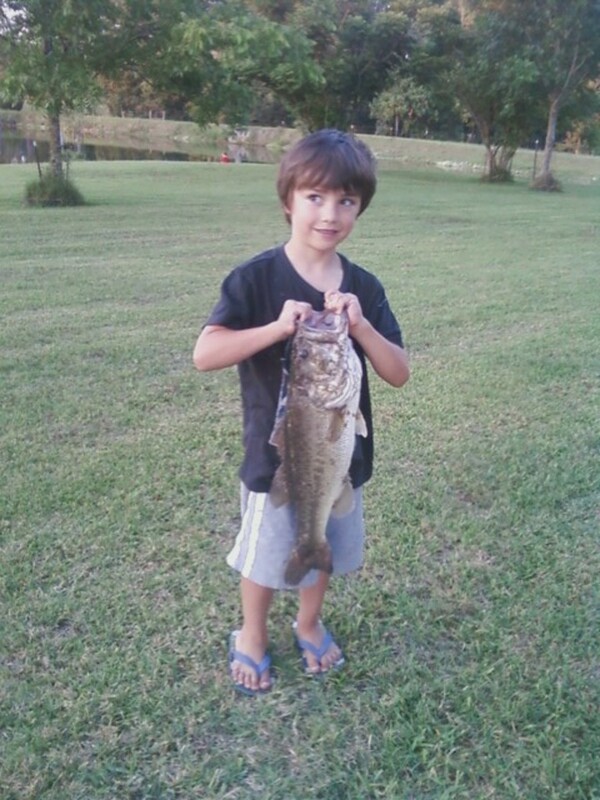 There lots of reasons to take a kid fishing. For one thing, it’s an enjoyable pastime. It can be exciting, but it can also be relaxing. It gives kids and adults a good way to “wind down” and escape the rat race that modern life can sometimes be. Many adults don’t realize how much pressure some kids are under. As a retired teacher, I understand that kids and teens can experience stress, just as adults do. In fact, sometimes it’s even worse for young people because they might lack the skills to deal with problems in an effective and healthy way. When you’re fishing, you don’t have to do a lot of deep thinking or important decision-making. The most important decisions you’ll to make involve catching fish, so the worst that can happen is that you might come up empty handed. So what? Even when you get “skunked,” you’ve still had a pleasurable time. 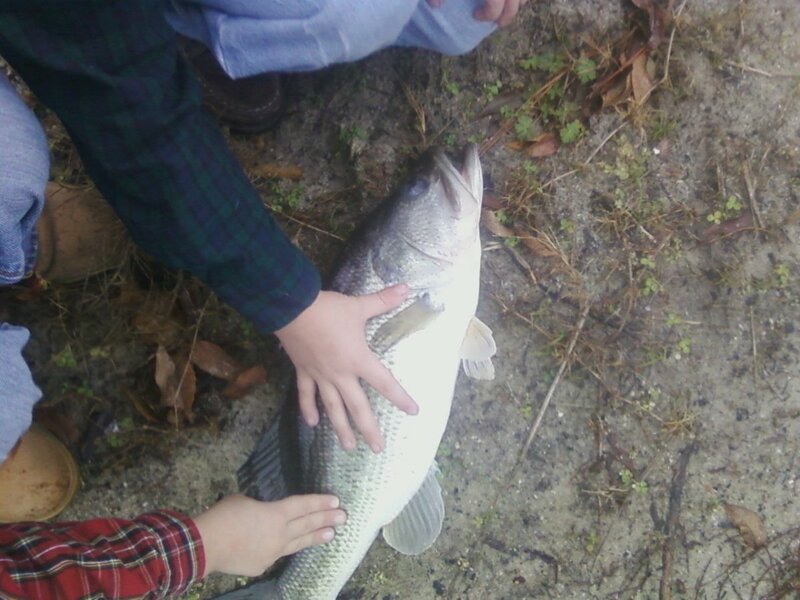 When you take a kid fishing, you’re introducing him to a new hobby and some new skills. Fishing is more than just putting a worm on a hook and plopping into the water. An angler learns an entire subset of skills that are related to the sport. In fact, some of these could definitely be considered as educational activities. 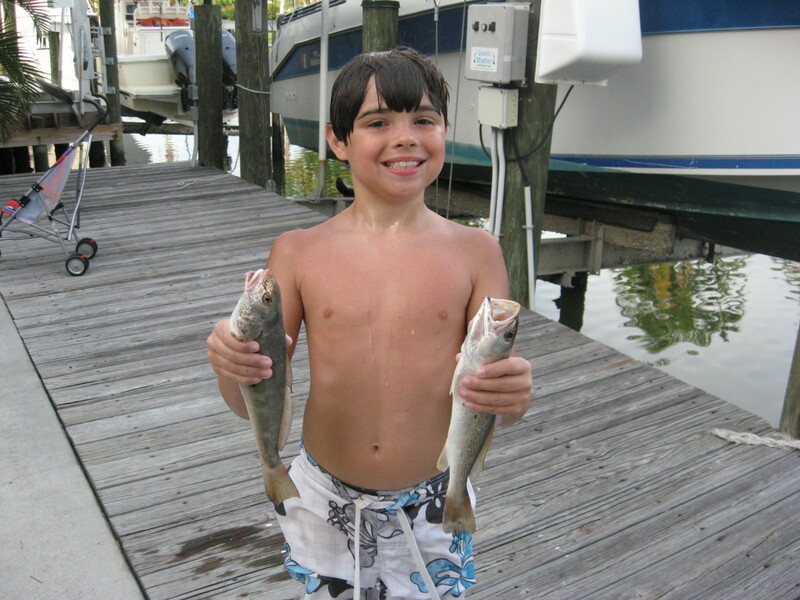 If you’re not used to taking kids fishing, a few fishing tips are definitely in order here. First of all, keep the fishing gear simple and easy to operate. 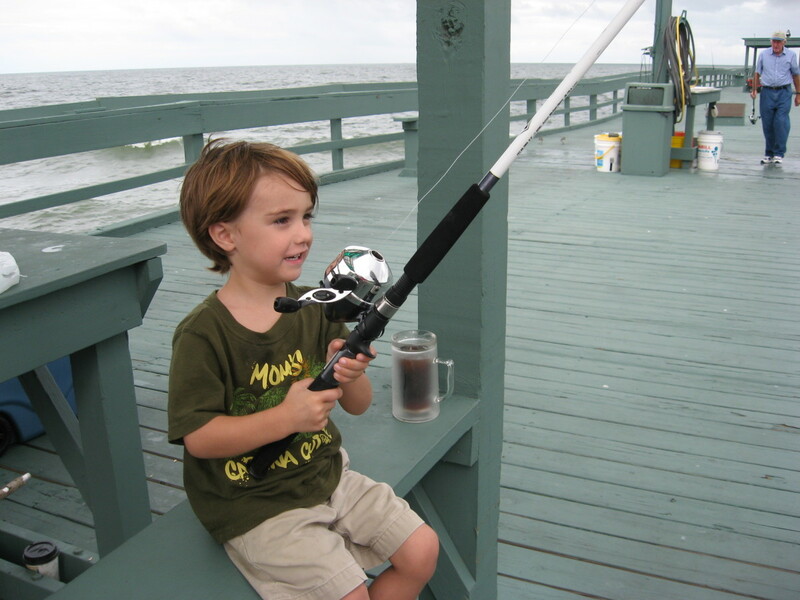 Think about where you’ll be fishing before purchasing fishing poles for kids. Cane poles can be good choices, but if you’re fishing among a lot of trees or bushes, or in other restricted spaces, can poles can be hard to maneuver. In such cases, a rod and reel will usually be a better fit. Choose a simple close-faced reel with a push-button release. These are easy to operate, and you won’t have to worry about backlashes. 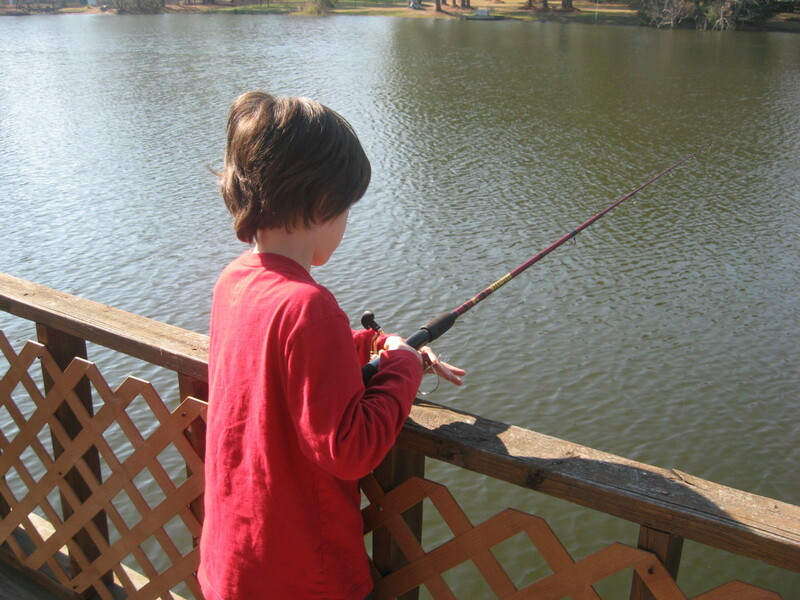 After purchasing a rod and reel, take the child in the back yard or some other open outdoor area to practice casting and retrieving. Tie a small weight to the end of the line to help the kids get some distance on his casts. A heavy metal washer works well, as it’s not as likely to get hooked on stuff. Once the child has the basics of casting and retrieving down pat, work on his aim. Set up some sort of goal or marker and let him try casting as close to it as he can. All this practice is going to instill confidence, and it’ll also increase the chances of catching fish. No matter what type of fishing pole you choose, try your best to find a fishing spot that’s open. 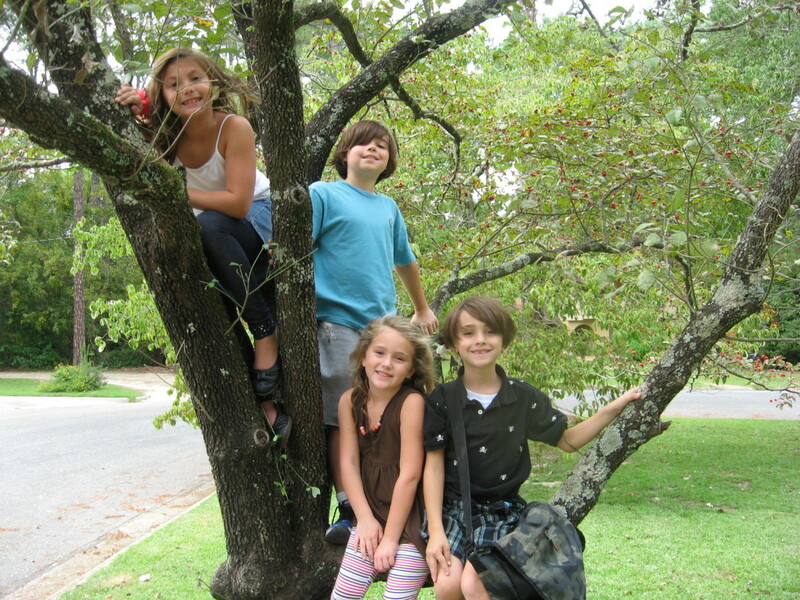 Children are notorious for getting “hung up” in tree branches, shrubs, and anything else that might be around. You don’t want to spend your entire fishing trips unsnagging caught lines and hooks. Another option to reduce hang-ups is to use weedless lures, like a plastic worm in which the point of the hook is embedded in the soft plastic. If and when the kid gets his or her line caught on something other than a fish, be patient. Try to show them how to avoid future snags, but do so calmly. Remember that you, too, were once a beginning angler. Berating or fussing at the child for making mistakes could turn him or her against ever wanting to go fishing again. Because snags and hookups are practically guaranteed when fishing with kids, be sure to take along plenty of extra line, a line cutter, lots of hooks or lures, and extra weights. If you’re fishing with bobbers or corks, have some extras. Don’t end your fishing trip because you’ve run out of fishing gear. You might need some kids fishing poles to get started. Of course, if you already have some poles or rods that are simple to use, you might not need to buy a special one just for the child. If you are going to buy a pole or rod for the kid, first decide what type will be best. If you’re fishing in a pond, lake, or reservoir, a cane pole might work just fine, and they’re cheap. They’re even cheaper when you make your own. The problem I’ve seen with cane poles, however, is that most of them are so long smaller kids have trouble handling them. You might spend more time untangling hooked tree limbs than you actually spend fishing. For saltwater fishing, you almost have to have a rod and reel, especially when fishing in the surf or from a tall pier or bridge. 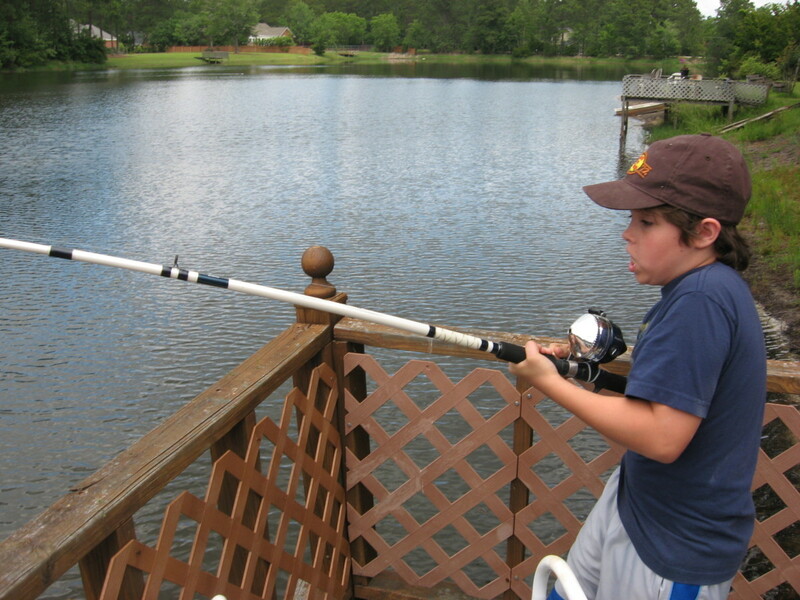 As far as rods and reels are concerned, the best kids fishing poles are the simplest. Try a closed face reel that’s easy to cast by pressing the release button. Before you go on your first fishing adventure, you might want to tie a “dummy” to the line and allow the child to practice casting in the back yard. That’s how I learned! That way, the kid will have a lot more confidence in himself when he attempts real angling for the first time. Besides the natural scenery, the fresh air, and the required walking, fishing and all it involves can also be very educational activities for kids. 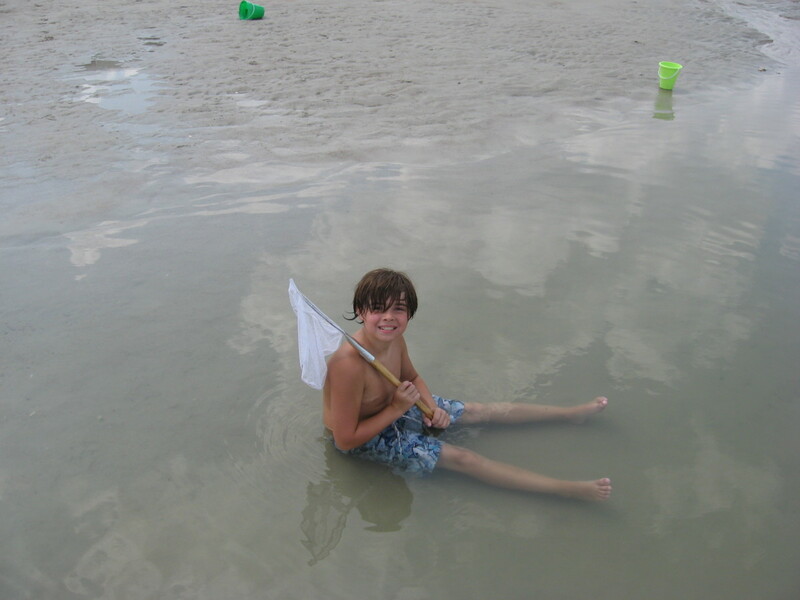 Just think about all a child can learn on a trip to a local lake, to a river, or to the ocean. First of all, they can learn about different species of fish, of course. And while you’re fishing, you’ll likely see other types of wildlife, too, including birds, turtles, frogs, and snakes. If you’re saltwater fishing, the list is even longer. 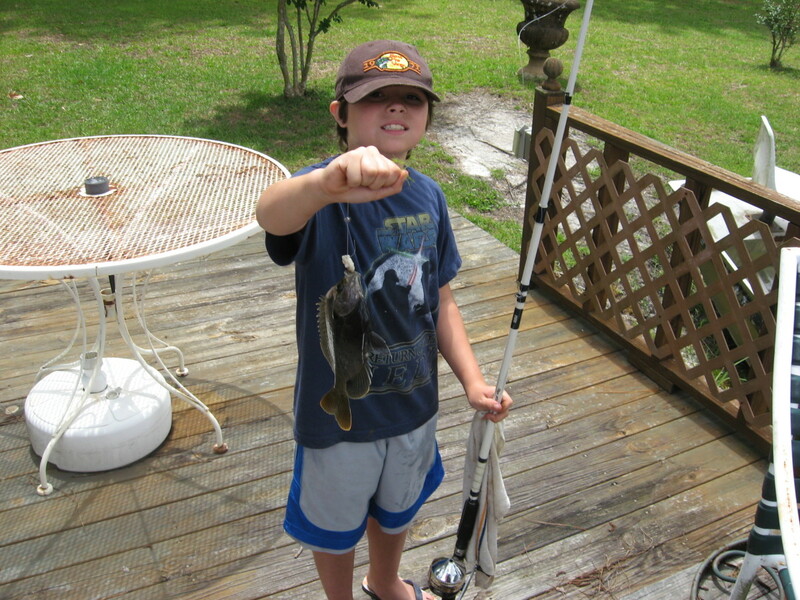 Kids can also learn a lot about ecology on a fishing trip. Teach them about the natural food chain and about erosion. Take the time to explain to them how rivers form and where they empty. Teach them about the movements of the tides and the mysteries of the marshes. 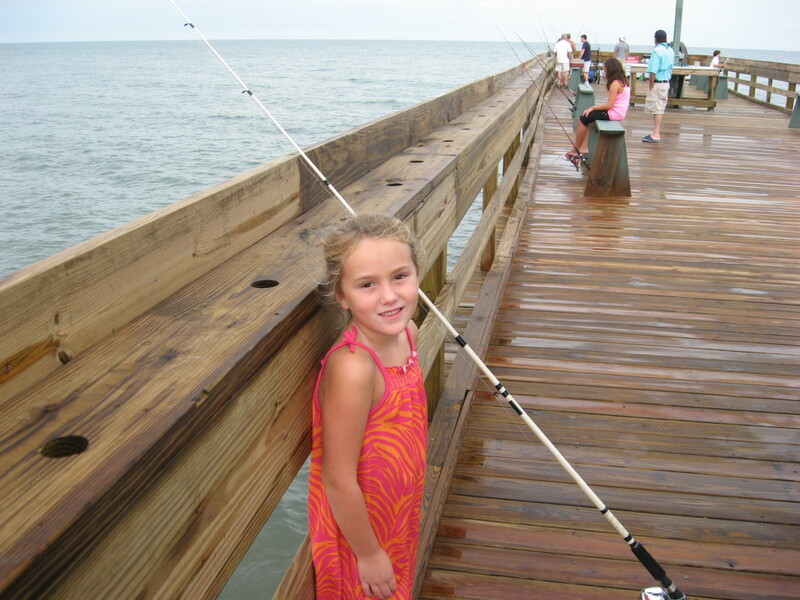 Other learning activities for kids that are related to fishing can involve the environment. Fishing can also be an excellent opportunity to teach kids about conservation. If you’re fishing in a lake or farm pond, explain water conservation to them. Teach them why it’s important to follow the fishing regulations on size and number of fish kept. Explain catch-and-release and why it’s important. Talk about water pollution and why it’s so important to keep our water sources clean and safe. 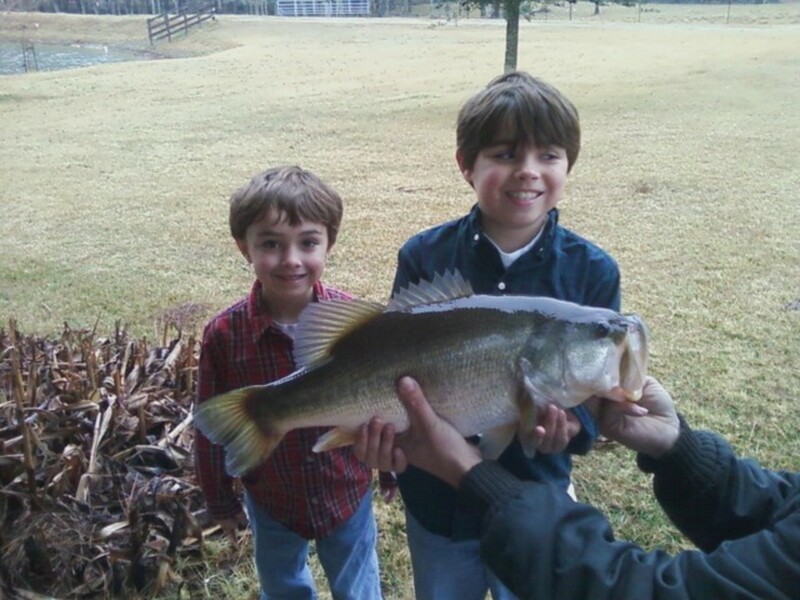 Catching, cleaning, and eating their own fish will give kids a good lesson in self sufficiency. There is a such thing as free food – everything doesn’t have to come from the supermarket, pre-packaged. And besides, fish is part of a healthy diet! 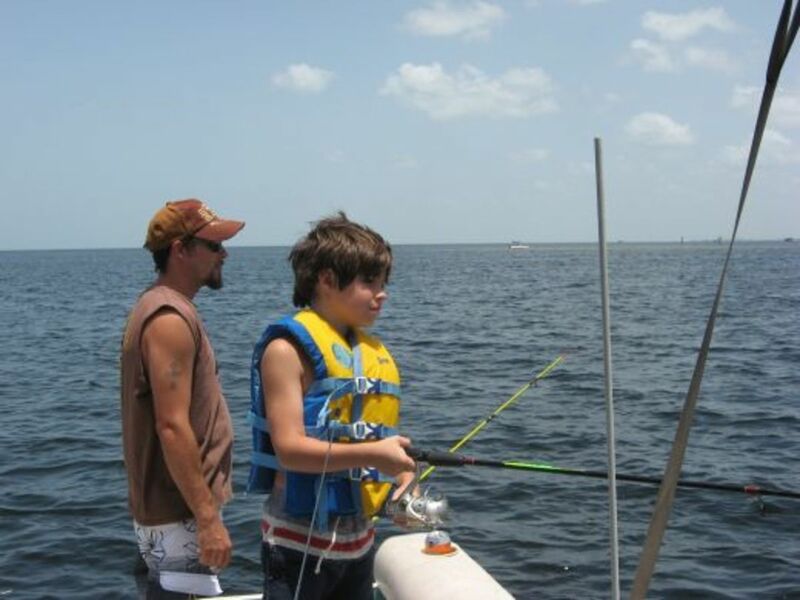 When you spend time taking your son or daughter fishing, you’ll be spending quality one-on-one time with him or her. You’ll be sharing knowledge with them and teaching them to grow up to be a responsible adult. Don't have any kids? Take your niece or nephew, the son or daughter of a friend, or a neighborhood kid. You won't regret it! You could be a positive role model in the life of a child and enjoy the process at the same time. I was amazed that a four-year-old knew so much about different artificial baits! 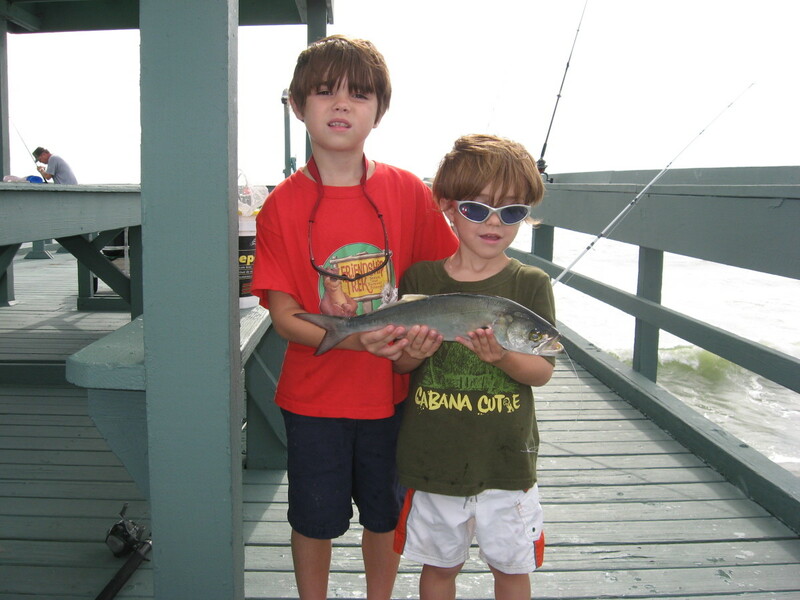 Now that Jonathan is an accomplished angler, he's helping to teach his younger brother, Tristan, to fish. I think Tristan loves it just as much, too! I have a blast watching their excitement as they reel in a fish. It's something they never get tired of – and I never tire of seeing it. Do something positive and take a kid fishing. Chances are that you’ll enjoy it, too. 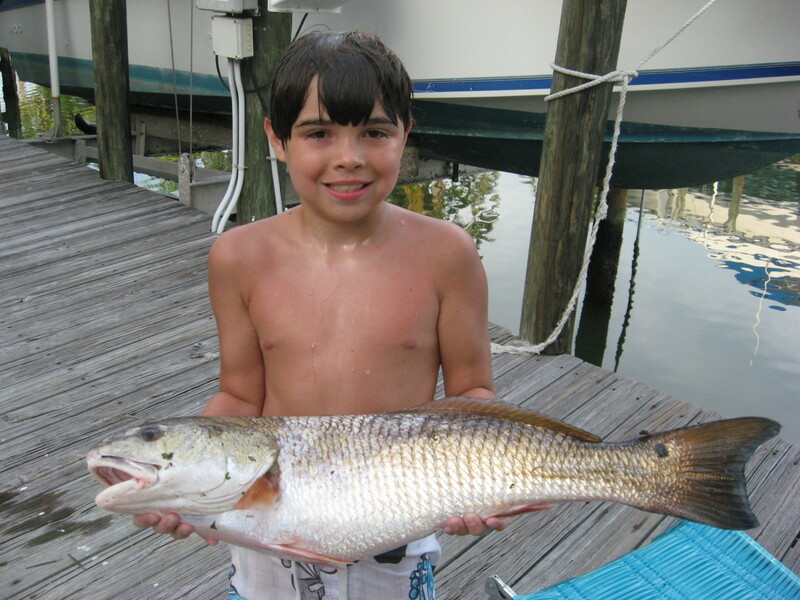 Plan a fishing trip soon with your kids or with someone else’s children. Pack a picnic lunch and make a day of it. Many state parks provide lakes for fishing, no matter where you’re located, and successful fishing can be done on a shoestring budget. Just buy a couple of cane poles, or make your own. 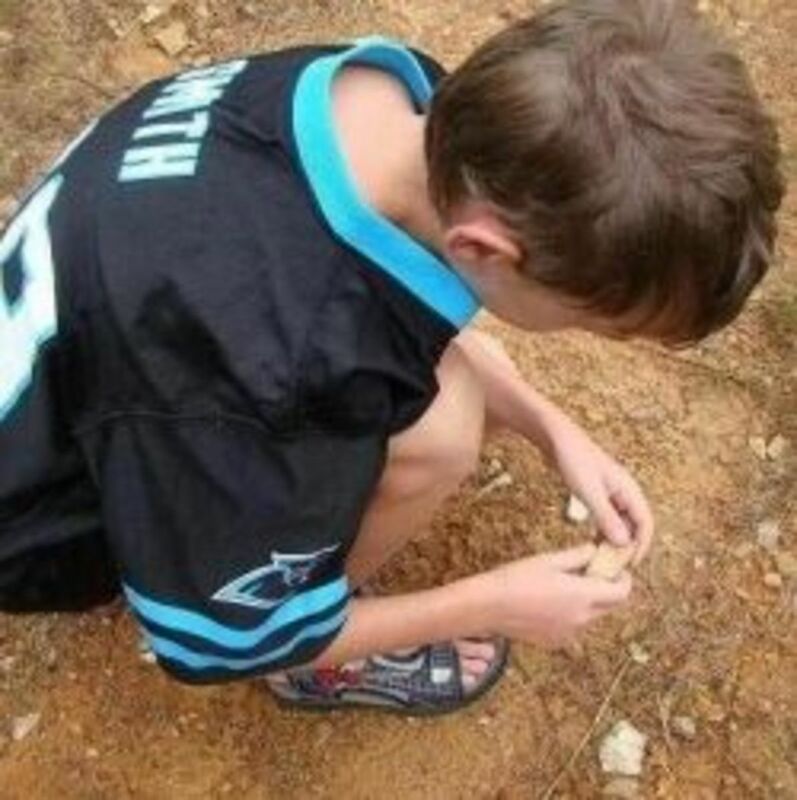 Dig your own worms or catch some crickets or minnows. 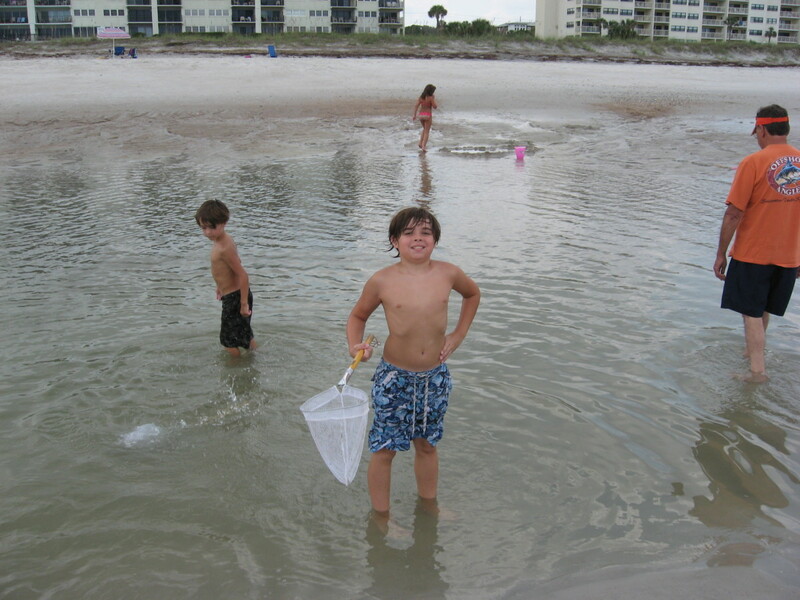 Even better, head to a beach or harbor with some cheap rod-and-reel combos and catch your own bait – fiddler crabs, finger mullet, or sand fleas. Aha – more learning activities for kids! Have fun, and remember to use all the teaching opportunities that will be at your disposal when you take a kid fishing! 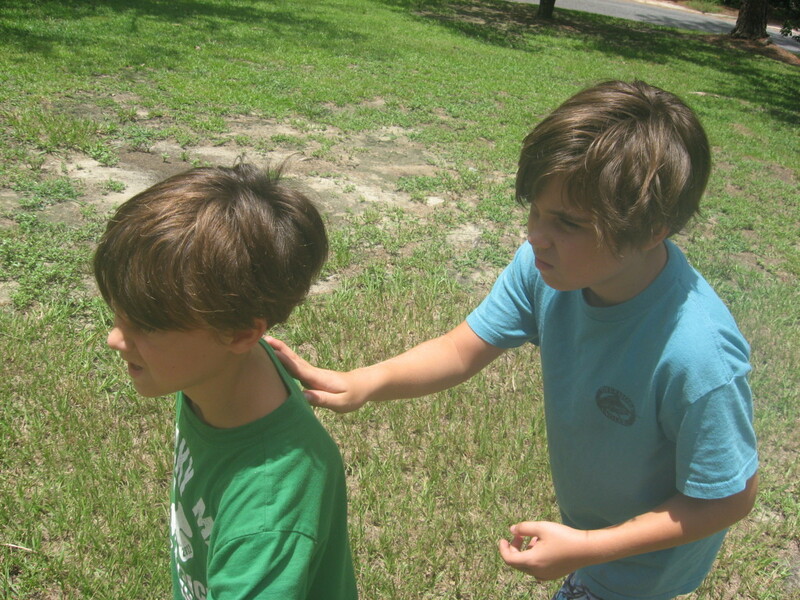 Now that Jonathan is an accomplished angler, he's helping to teach his younger brother, Tristan, to fish. I think Tristan loves it just as much, too! The two boys are even sharing their love of the hobby with their cousins and their friends. I have a blast watching their excitement as they reel in a fish. It's something they never get tired of – and I never tire of seeing it. 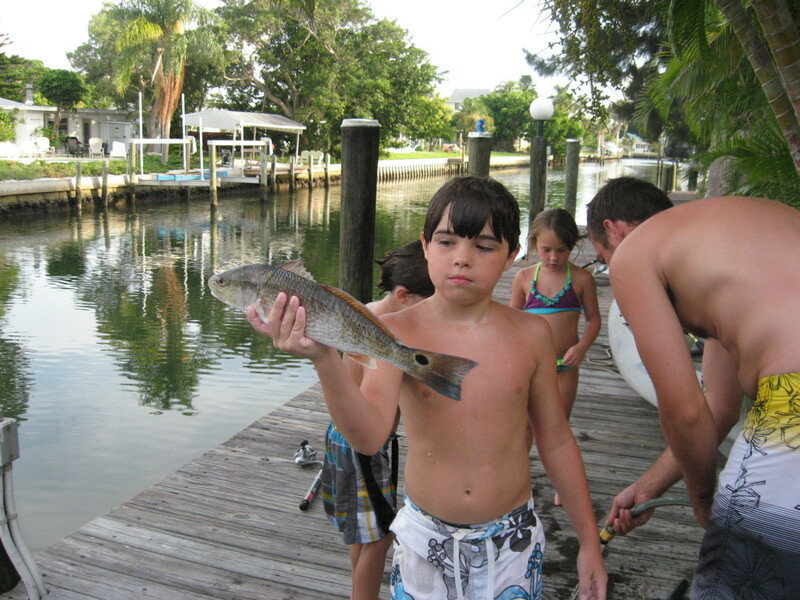 Fishing is one of the most fun activities for kids available. Do something positive and take a kid fishing. Chances are that you’ll enjoy it, too. 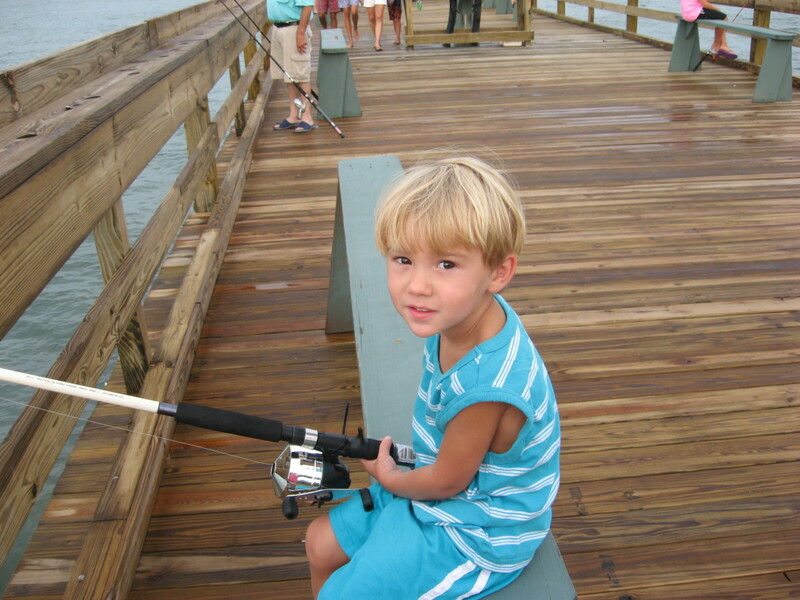 Plan a fishing trip soon with your kids or with someone else’s children. Pack a picnic lunch and make a day of it. Many state parks provide lakes for fishing, no matter where you’re located, and successful fishing can be done on a shoestring budget. Just buy a couple of cane poles, or make your own. Dig your own worms or catch some crickets or minnows. Even better, head to a beach or harbor with some cheap rod-and-reel combos and catch your own bait – fiddler crabs, finger mullet, or sand fleas. Aha – more learning activities for kids! Have fun, and remember to use all the teaching opportunities that will be at your disposal when you take a kid fishing. Also, remember that you can incorporate other fun activities for kids into your fishing trips, too. Definitely a thing to do! Great Hub! Thanks, Quildon. You need to take those kids fishing! Thanks, Ethel. You don't like fishing? Excellent hub, habee, and great photos too. When I was a child my cousins and I used to go fishing a lot. I would love to take my grandkids fishing. That's wonderful, Tammy. Glad they found a common interest! Thanks for stopping by, HH! Thanks, Bailup. 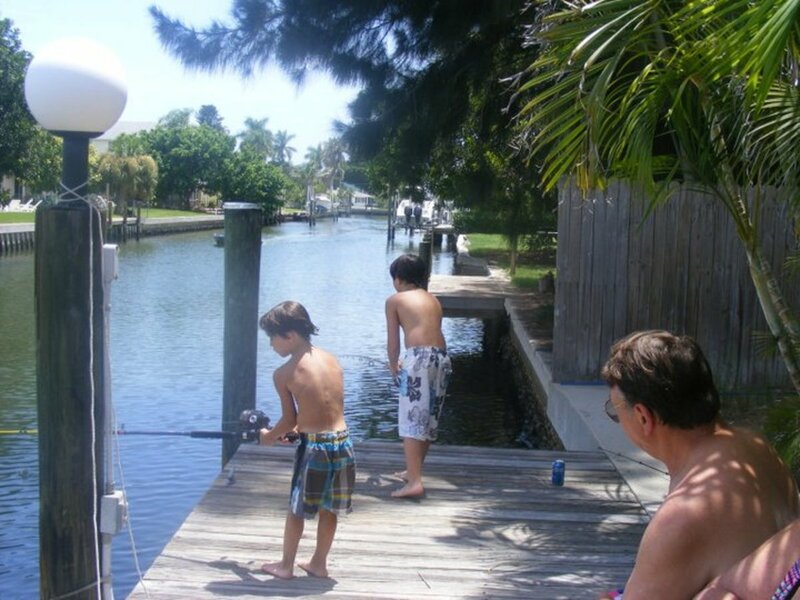 You'll have a ball fishing with your grandsons - I do! Lucky Lily lives on a lake - how's that for alliteration? lol. Glad your kids have such a great opportunity in their back yard! Good for you, Maita! Hope you get to go again soon! Hi, Ann. The fish and worms have never bothered me, but I don't like hooking crickets. Thanks for reading! Bpop, I have similar memories of fishing, and now I'm making more with my grands! Nancy - ditto on the worms with legs. Ewwwww! Have fun fishing with your little one! Thanks, Laurel! Always good to see you, pal! Thanks for sharing this with the educational twist. My Father is an avid fisher he goes everywhere to fish. He makes special trips here to Mississippi from Canada to visit and take my son fishing they have formed a very special bond because of their shared interest. I am sure you are and you can be proud of them. Thank you for sharing your family. I enjoyed reading this hub. Thank you. I love fishing myself. I can't wait for my little grandsons to get old enough to teach them how to fish. I know it will turn into a fun and rewarding experience. Your fishermen are adorable. Funny - We just came inside from our backyard where my girls were fishing with their dad (we live on a big lake)! Unfortunately, they didn't catch anything, but they has fun anyway! I like fishing, I just haven't been in a long time. Thanks for such a great reminder, I think I'll have to introduce this activity to my little ones. Cute pictures by the way. This is a really cute hub, habee! 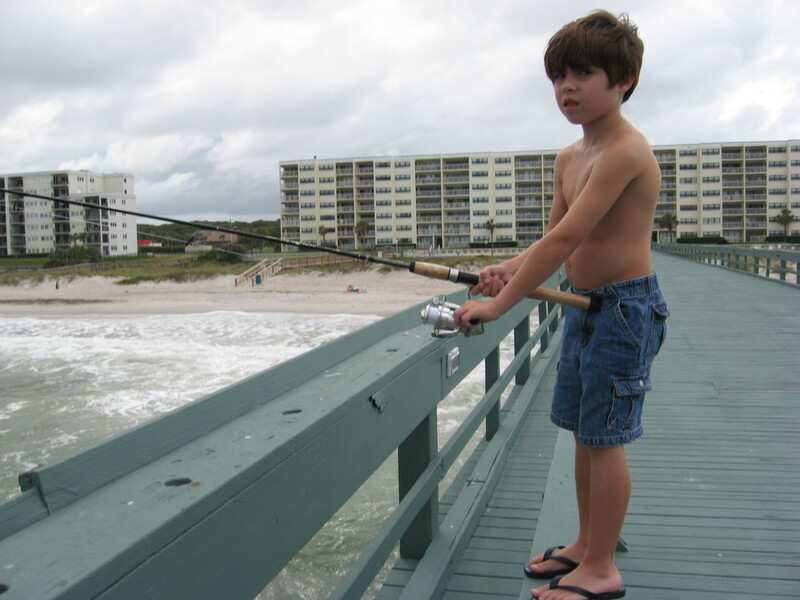 I remember I was the kid who went fishing. I got on the boat, got seasick....thankfully then I turned 16 (it was required to get a license for fishing then) and I didn't have to get squeamish around fish and worms anymore! Another great hub Habee. We'll be taking our daughter on her first fishing trip soon. I just hope she doesn't want to play with the bait too much. She loves worms. Last summer she was looking for worms and she came running to me and said look mommy I caught a worm. Which actually turned out to be a centipede. She was letting it crawl up her arm. I had to explain to her not to catch worms with legs. This is such great advice! Habee, I so miss the days when I took my now 21 year old son to a local pond where we would marvel at the frogs, reeds, and ducks while fishing. He was lacking in the patience department, however, which would actually turn into a learning experience for ME! I learned to be patient with his impatience, and soon we were both frantically in competition with one another to catch the biggest fish. It was so incredibly fun-and a fantastic way to bond with my son. Your grandsons are adorable, my friend-enjoy!